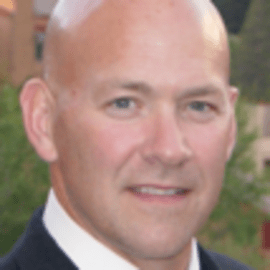 Paul Harter is the owner and CEO of Aqua-Hot Heating Systems, former chairperson for the NoCo Manufacturing Partnership, chairperson for the Enander Family Foundation, chairperson for Sky Corral Ranch, and former board member of the Colorado Advanced Manufacturing Alliance. After serving in the US Army, Paul took a job as an entry-level machinist in a manufacturing plant. Discovering his passion for making things, Paul completed his BA in Business at Eastern Illinois University and began a manufacturing career that has included leadership positions in several companies in the computer and automotive industries. Prior to joining Aqua-Hot, Paul served as General Manager for the powertrain and cockpit assembly operations for Chrysler’s auto assembly plant in Belvidere, Illinois. Throughout his career, he has been a student of leadership and systems thinking. Through his community engagement activities, Paul has become a regular speaker for topics including manufacturing, leadership, workforce, quality, and corporate culture. Paul was one of the founding members of the manufacturing Sector Partnership for Northern Colorado. He served in the leadership role for this group for its first three years. Paul still serves on its board of directors. Having become a strong supporter of the Sector Partnership model, Paul has had the opportunity to work with other industries in setting up their own Partnerships.